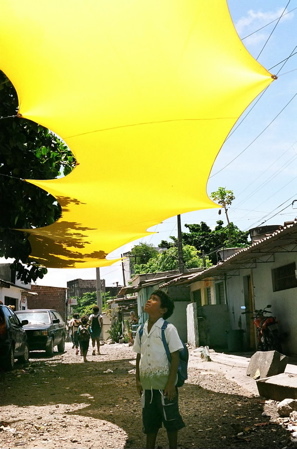 This project was a collaboration between Omid Kamvari ,Asif Khan and Pavlos Sideris entitled the Public Space Shading Canopy . 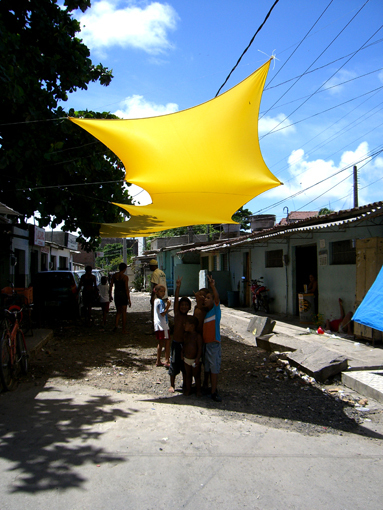 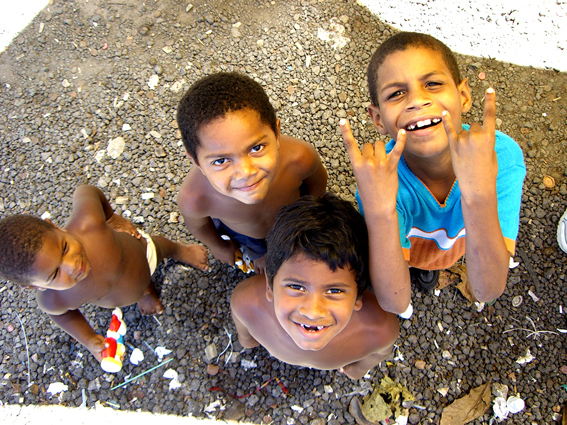 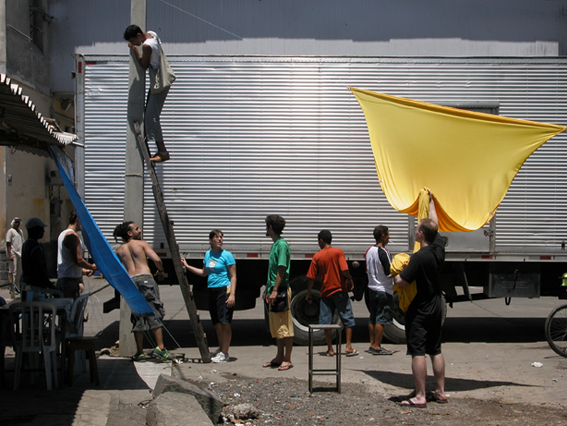 This installation was erected in the slum of Favelo do Pilar in Recife, Brazil, ln 2005, and was further developed into a kit of parts in London. 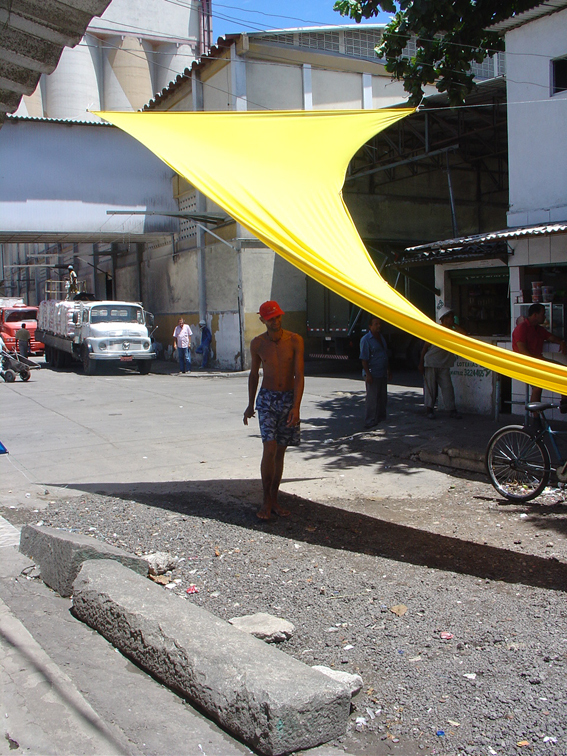 The bright yellow awning, which was slung from telegraph poles and buildings using cables, was erected in just four hours with the help of locals and according to the designers, immediately turned the neglected thoroughfare into a vibrant public space. 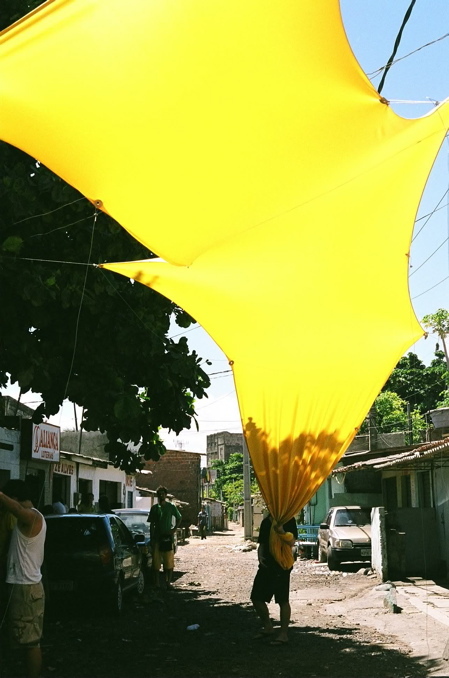 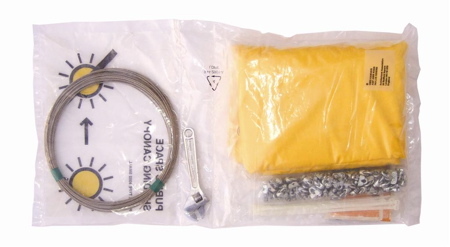 The new kit, which provides shelter from sun and rain, contains all the materials and tools people need to create their own canopies. 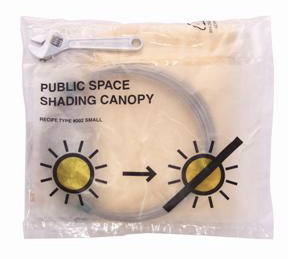 It comes in S, M, L and XL sizes. 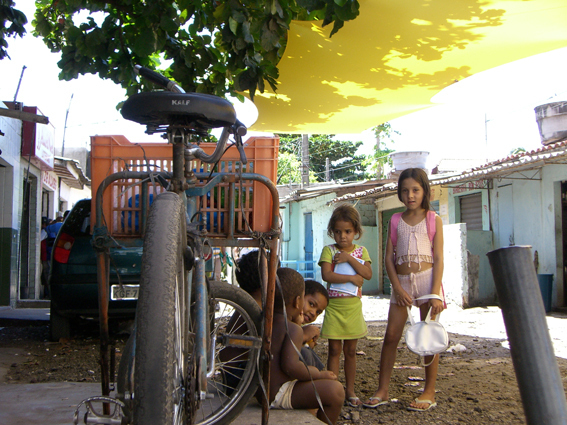 The kits, and the Recife project, were featured in an exhibition at the Smithsonian’s Cooper-Hewitt National Design Museum in New York. 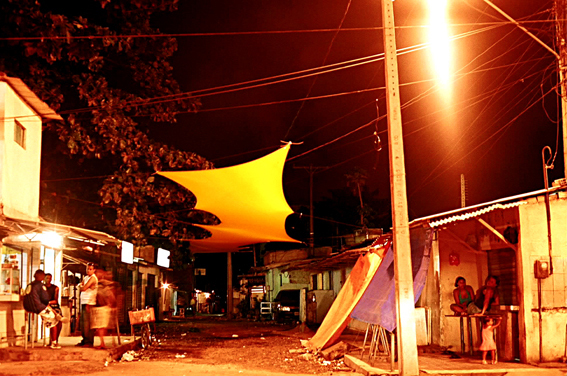 Called Design For The Other 90%, the exhibition will feature designs that improve the lives of the world’s poor.